Vatica Health makes a $1 million bid to acquire the assets of chronic care management company CareSync, which abruptly closed its doors in June. 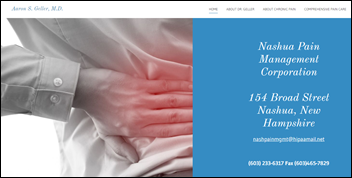 The Nashville, TN-based Vatica’s business model seems a little fuzzy based on its opaquely-worded website, which says it offers a “[u]nique blend of proprietary technology and clinical teams that enable providers and payers to thrive in value-based care.” Court filings suggest that the auction of CareSync’s assets could take place as early as November 5. Allendale Association will implement behavioral health-focused EHR software from Streamline Healthcare Solutions at its facilities in Illinois and Wisconsin. 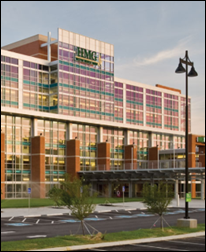 CarePoint Health (CO) and Holston Medical Group (TN) – both independent, multispecialty physician groups – select RCM software and consulting services from R1 RCM. CarePoint had been a customer of Intermedix, which R1 acquired early this year for $460 million. 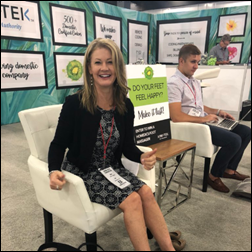 EWellness will add automated speech-recognition and transcription technology to its Phzio digital physical therapy platform, which includes remote monitoring and video consults. Scot McCray (BerkleyChambers) joins Community Health Services, an FQHC with six locations in Vermont, as CEO. 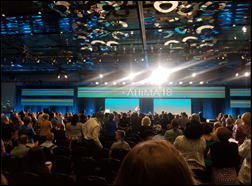 The Health Resources and Services Administration of HHS will award $293 million in scholarships and loan repayments to primary care providers and students working within the National Health Service Corps and Nurse Corps. Providers within these programs typically care for underserved patients in rural, tribal, and urban communities. Just in time for flu season: Walmart will give customers who purchase products like Airborne and Mucinex vouchers for free virtual consults from Doctor on Demand. Walmart’s experience with Doctor on Demand extends to its employees: Virtual visits from the company are included in employee benefits. This article spotlights the efforts of Turner Impact Capital CEO Bobby Turner to improve the cost and quality of healthcare for seniors in Florida. The investor has partnered with geriatrics-focused primary care company ChenMed to open six Dedicated Senior Medical Centers across the state. Los Angeles-based TIC’s $400 million healthcare fund is directed at facilities focused on ambulatory and transitional care in underserved neighborhoods. EClinicalWorks will exhibit at CHCANYS18 Annual Conference and Clinical Forum through October 23 in Tarrytown, NY. 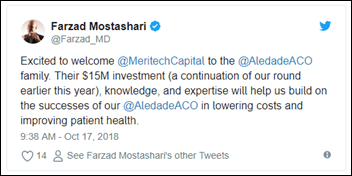 It looks like Aledade has raised more money, though maybe not in an entirely new round of financing. The Bethesda, MD-based company has accrued nearly $100 million since launching four years ago. 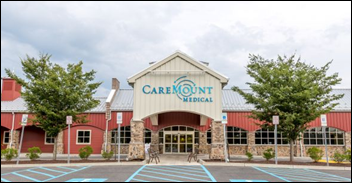 In New York, CareMount Medical integrates MyHealthDirect’s online scheduling software with its NextGen EHR across primary care, pediatrics, dermatology, and OB/GYN. The independent group – the largest of its kind in the state – will roll it out to additional specialties next year. MDToolbox adds real-time prescription drug benefit and pricing information, plus therapeutic alternatives, to its e-prescribing software. 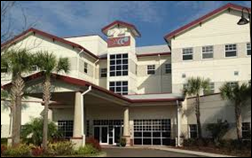 DACCO Behavioral Health (FL) selects care coordination, e-prescribing, and revenue cycle software from Streamline Healthcare Solutions. Casamba adds RCM capabilities from IKS Health to its EHR for clinics, post-acute care, therapy, and hospice facilities. NextGen adds virtual visit capabilities from Otto Health to its ambulatory EHR. The New Hampshire Board of Medicine fines Nashua Pain Management Aaron Geller, MD $2,000 for a number of unorthodox practices and beliefs including a lack of patient drug testing based on the belief that some opioids are abuse-resistant and that gainfully employed patients are at lower risk for addiction. Poor electronic record-keeping – verging on the “abysmal” – was also noted in the 16-page ruling outlining all of his transgressions, which came to light after a three-day hearing. 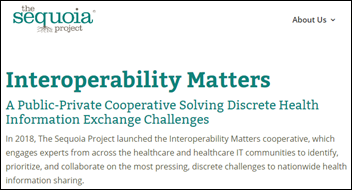 The Sequoia Project creates the Interoperability Matters Advisory Group and solicits nominations for workgroup members who will provide HIE updates and feedback on interoperability recommendations. The Advisory Group will ultimately use the expertise of its workgroups to develop interoperability resources and action plans. The AMA releases a Digital Health Implementation Playbook, offering physicians 12 action steps, plus best practices and resources, to aid in digital health adoption. The guide’s initial area of focus is on remote patient monitoring using wearables and other devices that generate data outside of a physician’s office. HealthRight President Scott Roix pleads guilty to felony conspiracy charges related to a telemedicine scheme that bilked payers like Blue Cross Blue Shield of Tennessee out of nearly $1 billion. The three year-long crime involved HealthRight filing fraudulent claims for incorrectly prescribed pain creams and related products that it illegally marked up. Four other people – each associated with a compounding pharmacy – have also been charged. 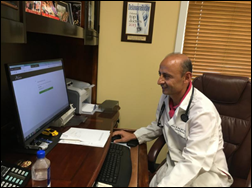 Greater Houston Healthconnect goes live on PrognoCIS healthcare technology from Bizmatics. The HIE services providers in 24 counties across Southeast Texas. Therap adds a health-tracking dashboard to its EHR for providers of community-based services, and intellectual and developmental disability service organizations. The AAFP elects associate professor of family medicine and East Dayton Health Clinic (OH) staff physician Gary LeRoy, MD president-elect. Lygeia Ricciardi (Clear Voice Consulting) joins digital health startup Carium as chief transformation officer. The City of South Bend, Indiana signs a three-year contract with Michiana Health Information Network to develop a database of homes at risk of lead exposure and a system that will alert physicians about at-risk patients. Local physicians believe the arrangement is a step in the right direction given that only 8 percent of the city’s children have received lead screenings in the last 15 years, but worry that not enough resources are going towards follow-up care for lead exposure. 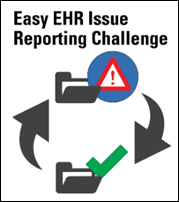 Submissions are due today for ONC’s Easy EHR Issue Reporting Challenge. First announced in late May, the contest hopes to showcase entries that demonstrate easy ways to report usability problems to IT departments, vendors, and patient safety organizations. Up to $80,000 in prizes are available. 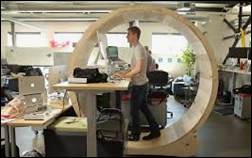 A 13-month workplace study on the health effects of treadmill workstations versus sit-stand desks finds that the treadmills helped to improve the overall health of overweight users, but didn’t do much for those who were already fit. One commentator called the study “costly,” which makes me question how worthwhile it is to spend money on that type of attempt to improve health and boost productivity. 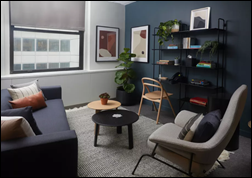 The trend of on-demand medical office space strengthens with the launch of Alma Health, a New York City-based startup that offers therapists access to stylish, co-working space for sessions. Patients are afforded well-appointed waiting rooms designed to heighten privacy. The company was founded by former Oscar Insurance VP Harry Ritter, MD. This is a dangerous idea: Basis launches to offer patients a cheaper alternative to therapy with licensed professionals. For $35, patients sit and chat virtually with an unlicensed “specialist” for 45 minutes. The company requires its specialists to have 15 hours of online training. It does not require them to have experience in healthcare or psychology. I’m saddened by the fact that investors have already poured over $3 million into this phone-a-friend company, which is perpetuating the idea that cheap and convenient equal effective. 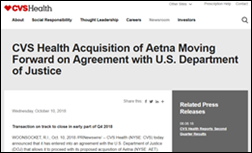 CVS Health receives DoJ clearance to proceed with its $69 billion acquisition of Aetna, which will operate as a standalone business once the deal closes at the end of Q4. The arrangement is contingent on Aetna selling off its Medicare Part D business. Aetna CEO Mark Bertolini told Fortune earlier this year that, “The insurance company isn’t going to be about making money anymore. It’s [going to be] about facilitating the financing of affordable and convenient care,” pointing out that CVS has 10,000 stores within five miles of 80 percent of US consumers. Bertolini will resign once the deal is done and then join CVS Health’s Board of Directors. Aetna President Karen Lynch will take over his executive role and become a CVS EVP. Houston MRI & Diagnostic Imaging selects ERAD’s RIS and PACS software including patient and physician portals. AMA’s business development and commercialization company Health2047 launches its second venture, First Mile Care, which aims to support pre-diabetic patients through health coaching and related resources. FMC founder and CEO Karl Ronn comes to the company from P&G. CVS Health’s MinuteClinic rolls out Teladoc-powered Video Visits in Kentucky. Now offered in 16 states, the retail clinic’s telemedicine service will be made available nationwide by the end of the year. Secure systems and protect data. Never underestimate the malicious nature of cybersecurity attacks. Assess your business associates or outsource this task to a third party. In sessions covering security certifications and frameworks like NIST, HITRUST and GDPR, HIM professionals — in conjunction with their IT counterparts — can play an important role in helping practices promote stronger privacy, security, and data governance. Their expertise should not be underestimated or ignored. Project management and denial management are two additional technology areas where HIM experts can lend a helping hand. Track your practice’s top encounters and diagnoses denied. Educate staff on clinical documentation and coding guidelines for common denials. Upload knowledge into your IT systems for easy access and denial disputes. Know payer rules, include them in your IT systems, and build awareness across all staff. Move toward payer collaboration and conduct clinical conversations about denials. According to McGraw, “Providers should adopt a proactive approach to pursue every avenue under their contract.” Another practical tactic for physician practices to consider is the use of HIM professionals for IT and centralization projects. Strengthen communication and patient management between hospital, physician and post-acute care providers—nurses, physician assistants, care managers, etc. 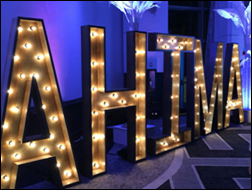 Aprima will exhibit at the AAFP Annual Meeting October 10-12 in New Orleans.